What’s wrong with your Mazda? 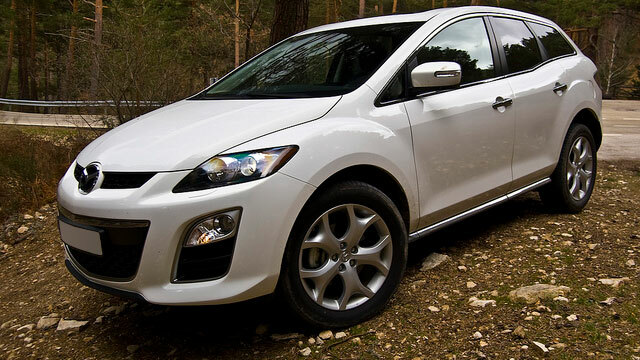 Mazdas are extremely popular cars, in part, because of their high average mile per gallon rating. The key to keeping your Mazda in tip-top shape is making sure you find a trusted mechanic to perform regularly scheduled maintenance and repair as needed. In the San Diego area, you will find one of the best auto repair shop,Transmasters Transmission and Auto Care. We first opened our doors in 1989 and have been offering quality auto care at competitive prices ever since. Owning a car is a luxury, and it can also be a mystery. A car doesn’t have to break down for you to believe something is wrong. Because you’re the one that drives it, you’re the one who knows if your car isn’t running as smoothly as usual. Whether it’s a quick fix like allowing the tire pressure to get dangerously low or a larger one such a transmission issues, the certified mechanics at Transmasters are trained to diagnose and repair the problem quickly. There are certain common Mazda problems, such as the 2013 airbag recall and a few engine issues that we’re aware of at Transmasters. We make it a point stay abreast of the latest information on all the brands we service. By doing so, we’re able to save our customers time when they bring their car in for repair service. In addition, we offer a free diagnosis before beginning any work; allowing you to make informed decisions. Shops that provide excellent service will be able to demonstrate it through customer ratings. We receive the best repair reviews among local mechanics in the San Diego area. Consistently getting five stars from previous customers tells you a lot about the quality of service you can expect when entrusting your car to Transmasters. When you take your car in for Mazda service in San Diego, there are three questions you’ll usually have. First, how much will it cost? This is where Transmasters is highly rated. We keep our prices as low as possible. More importantly, we’re honest right up front about the costs; meaning no nasty surprises later on. You’ll also want to know how long will it take. We understand how hard it is to be without your vehicle and are committed to getting it back to you as soon as possible. Finally, smart car owners will ask if the repairs or maintenance they’re having done will add to the life of the car. The highly trained and professional staff at Transmasters are happy to provide all of the answers to all of these questions and more before we work on your car. Call the phone number today or click on our website to ask how we can help keep or get your Mazda in perfect running order.